‘Seema – The Untold Story’, an Assamese language feature film by filmmaker Hiren Bora on how Tezpur in Assam rose to defend itself from the Chinese invasion in 1962, has finally hit the theatres in the State. In the year 1962, Chinese troops made their way into India and were moving towards Tezpur, a small town in Assam, after reaching Arunachal Pradesh’s Bomdila. As the news of the Chinese troops’ invasion spread, the people of Tezpur, which is the nearest settlement on the north bank of the Brahmaputra and just about 150 km away from Bomdila, panic gripped the people of the area. Tezpur is the hometown of 69-year-old filmmaker Bora and he was 12 years old during the the Chinese invasion. Six decades later of the Chinese aggression, national award winning filmmaker Bora, who is currently Guwahati-based, has come up with his feature film ‘Seema – The Untold Story’ which is a revisit to the chapter of Tezpur when the people of the town passed through horrific moments. In 1962, the sleepy little town in middle Assam, woke up to the very real possibility of war, as Chinese troops swiftly made their way into India — reaching Bomdila, about 150 km away. Later, the Chinese declared a ceasefire, but fear had already spread and the evacuation of Tezpur began in earnest: the town’s administration fell and families packed up their belongings to flee war. As per a report published by The Indian Express, filmmaker Bora remembers how his grandfather told his sons to retrieve all their belongings and run away to the nearest big settlement, Nagaon. But the patriarch himself decided to stay back to defend his town along with many others out of love for Tezpur. In 1970, Bora first moved to Dibrugarh for further studies and later settled in Guwahati. According to the report, Bora regrets that though the incident which happened at Tezpur was a big one, public memory about it is feeble. “The Chinese Aggression of 1962 was a huge event in Northeast India’s history, but it’s hardly been portrayed in popular culture — neither in books nor films, the way Indo-Pak conflicts have been,” the report quoted Bora as saying. 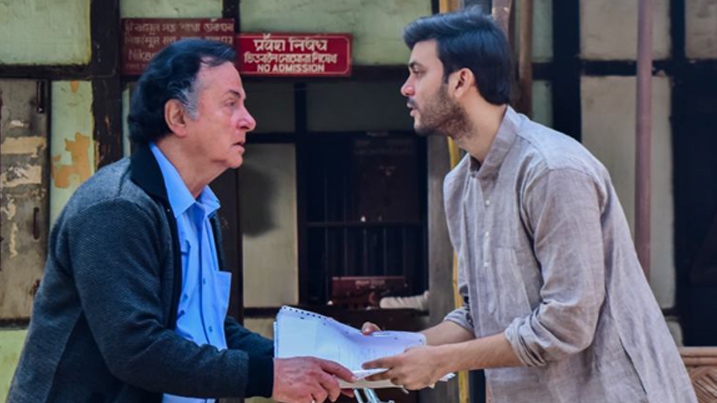 The movie has featured actors Nipon Goswami, Arun Nath and Jahanara Begum as lead characters while noted actor George Baker portrays the leading role of the British journalist, William Smith.